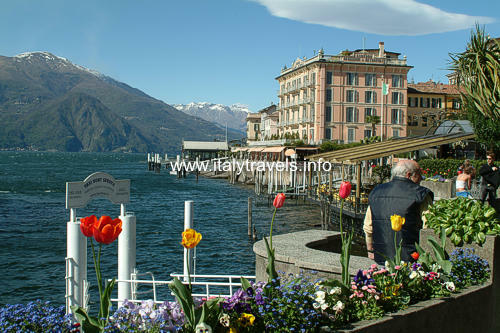 Bellagio is the more famous locality of lake Como, also known as " the pearl of the Lario". 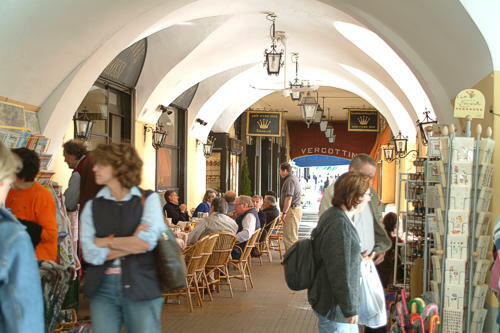 The town deserves the reputation that it has: it is a jewel of landscape and architecture, encircled by fortifications, characterized by the typical tenuous colours of the houses, by the narrow and winding lanes that lead in harmonious small public squares. 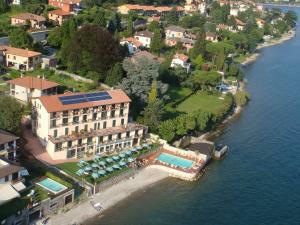 Along the lakeside promenade, there are sumptuous hotels, elegant stores where to buy jewels, clothes and valuable silk. 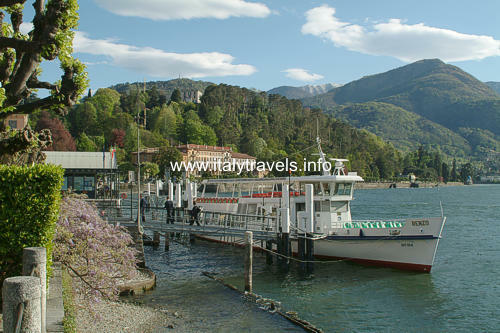 Along the road that crosses the town, you can admire the beauties of the ancient village, going down till the lake with the beautiful public square and the landing stage for boats, hydrofoils and the ferry that allows to reach by car the two opposite shores of the lake. 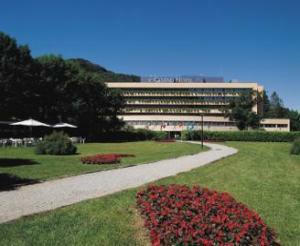 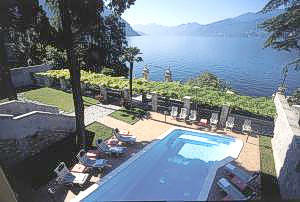 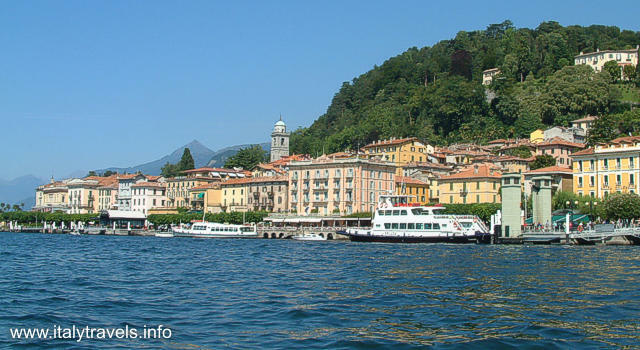 There is the possibility of a lot of excursions from Bellagio, by foot, by car or by boat. 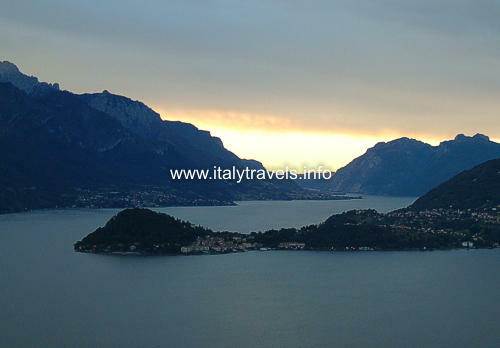 A tour of the town must include a visit to the church of San Giacomo, that was built between 1125 and 1150, and was restored several times. 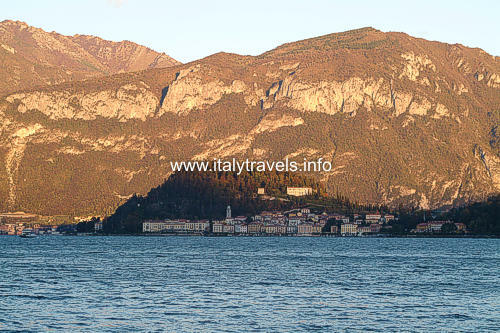 Near the church there is also the gate to the park of Villa Serbelloni, where it is possible to make beautiful walks till to reach the tip of the cape, where there is a wonderful sight on all the central part of the lake. 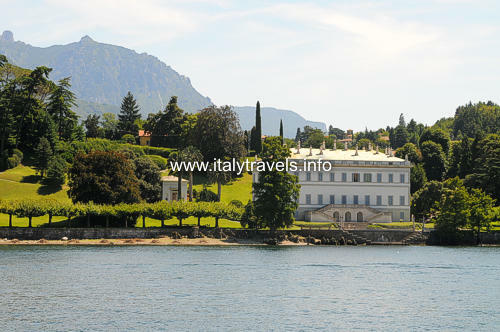 With a short walk, approximately one km, you can reach Villa Melzi, other wonderful dwelling, of which it is possible to visit the wide park and the chapel.